October 2016 | New Creation Inc.
As the weather gets cooler, we are on the lookout for the newest fall trends. 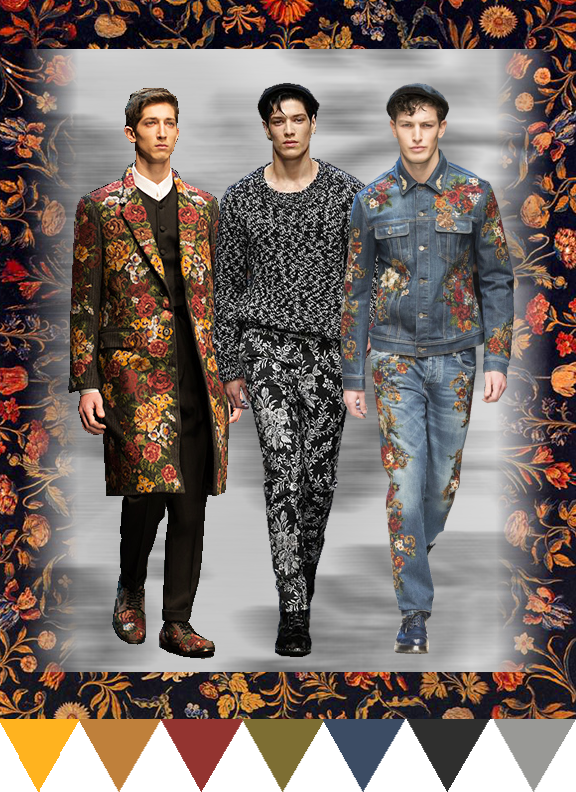 This season in the high-end menswear markets we are seeing a continuing trend that gives a nod to traditional floral tapestries. With rich colors and plenty of textures, these floral masterpieces tell a story of days passed, but with a contemporary twist. We are seeing a range of heavier techniques in the fall and winter months including woven jacquard, intricate embroideries, as well as appliqués. If you are interested in indulging in this trend for your next Autumn/Winter collection please contact us. We’d love to make some great with you. Check out our brand, Hauste & Harte for more high-end menswear.